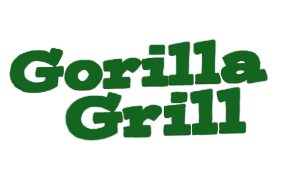 Online ordering menu for Gorilla Grill. We serve breakfast and lunch here at Gorilla Grill in Raleigh, North Carolina! Our menu features sandwiches, burgers, wraps, and more! Try one of our house favorites such as the Chicken Tenders or Chicken Quesadilla! Find us on Six Forks Road between Anderson Drive and Wake Forest Road. We're near Creekside Crossing and Shops and Duke Raleigh Hospital. Order online for carryout!